For the people who really love books and literature, the books they own are like a part of their spirit. Every single person who reads books owns a spot in their house for the bookshelves. The bookshelves are a place where the book lovers hide their heritage. Nowadays this lovely colorful bookshelves can be used as a perfect decor into the interiors. 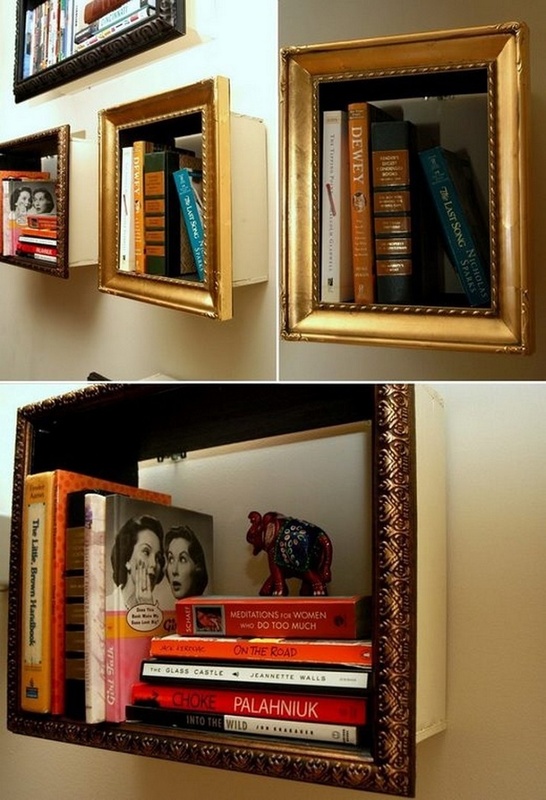 There are many fun ways to use the books and create an interesting unique way into your home space. On one side you will have decor on the wall and from the other side you will have a place where to store your books. Maybe this article will help you to find a inspiration for your perfect bookshelves home decoration. This is a very interesting and colorful way how to make a specific decor in your interior. 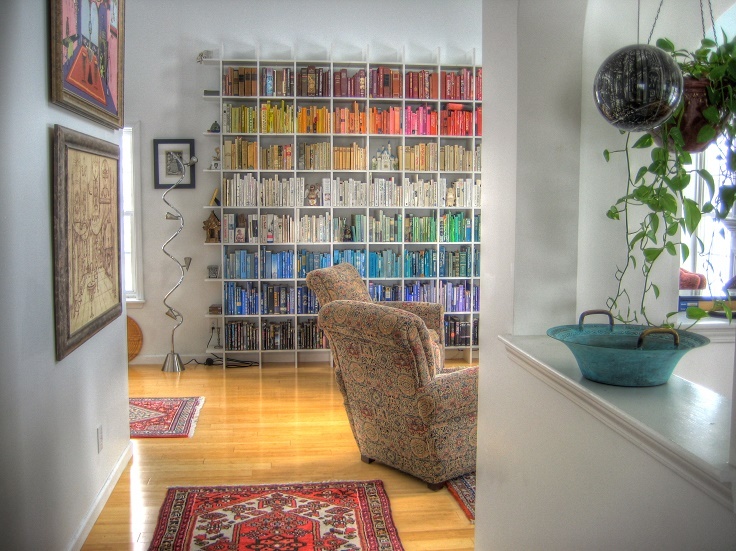 Select every of your books by their color, arrange them by color and put them on a way that you can create a “rainbow”. The effect will be magical and it will give a bright and light spirit in the interior. For the project like on the photo above you will need a lot of books or maybe a smaller bookshelves. You can always plug some details as frames, candles and other decorations so you could fit the space. For this project all you will need is to have a glass bookshelves, wall paint and paint skills. 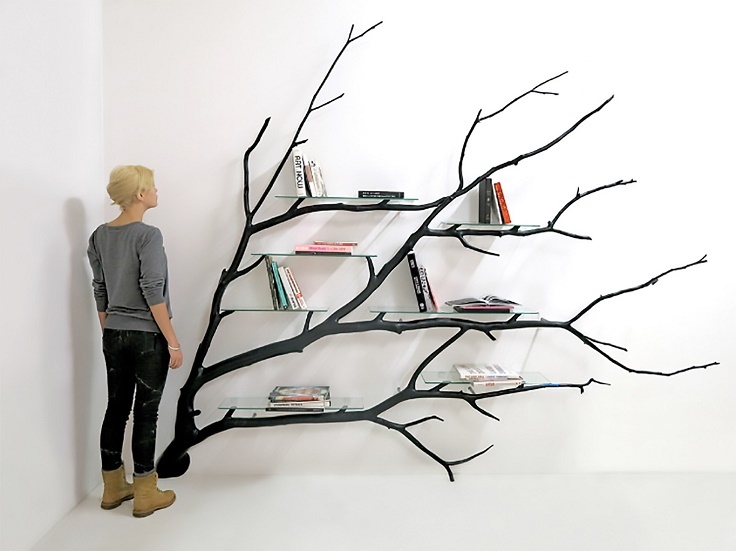 On your wall you should paint a tree and then you should place the bookshelves on the tree. The effect is very unique and magical and for sure it will give a different look to the whole home decor. It will give a natural spirit into the interior and it will bring color inside. It is perfect for monotone interiors. For those of you who own a lot of books then a small bookshelves are not a good idea. 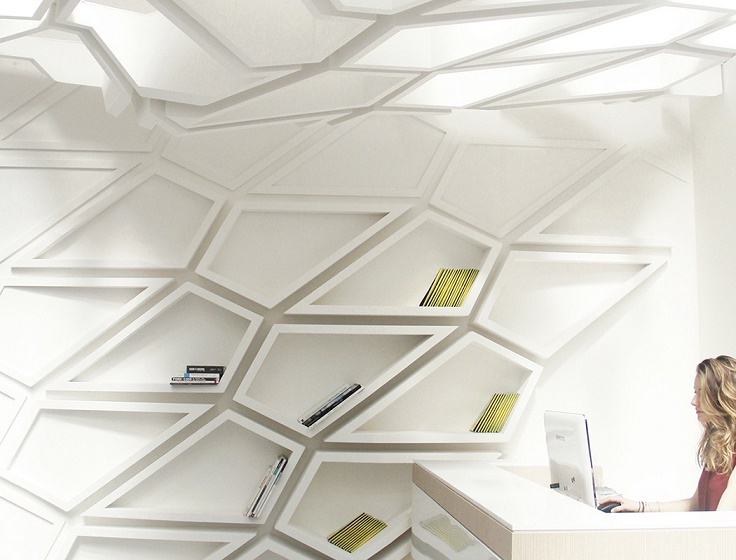 The best idea for you is to make a wall of bookshelves. Pick one of your walls at your house on which you will make a different decor with a nice and geometrical bookshelves squares. This is a very interesting idea of how to turn your monotone wall into a colorful paradise. Many retailers are trying to sell the best and most interesting products and this bookshelves are one of those kind a products. This hanging bookshelves are so interesting and so different that it will give a totally interesting spirit to the interior. 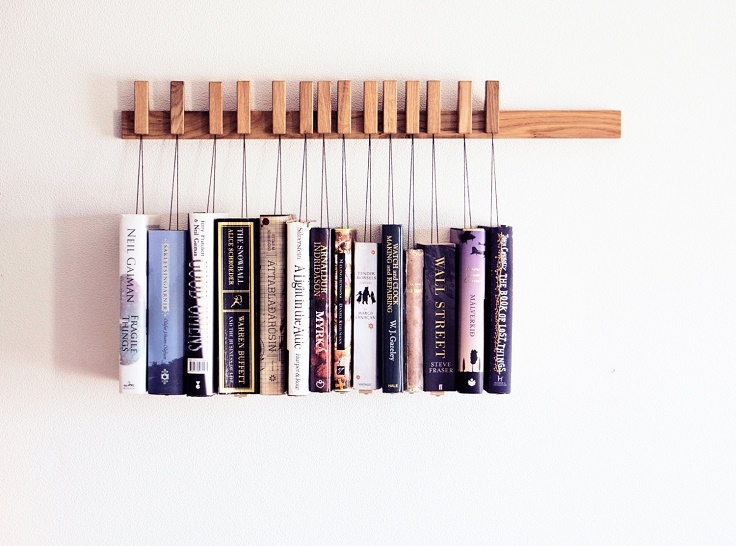 Place your books on this interesting hanging bookshelves and everybody who will see them would ask how you did it. Dimensional but chaotic bookshelves are really interesting and modern way of how to make a interesting home decor. The whole wall decor will look a like multidimensional heaven and will be unique for guarantee. This decor will make your office spot warm and interesting but it is also nice idea for the home interior. From a plain white wall to an interesting white wall decor with few steps. 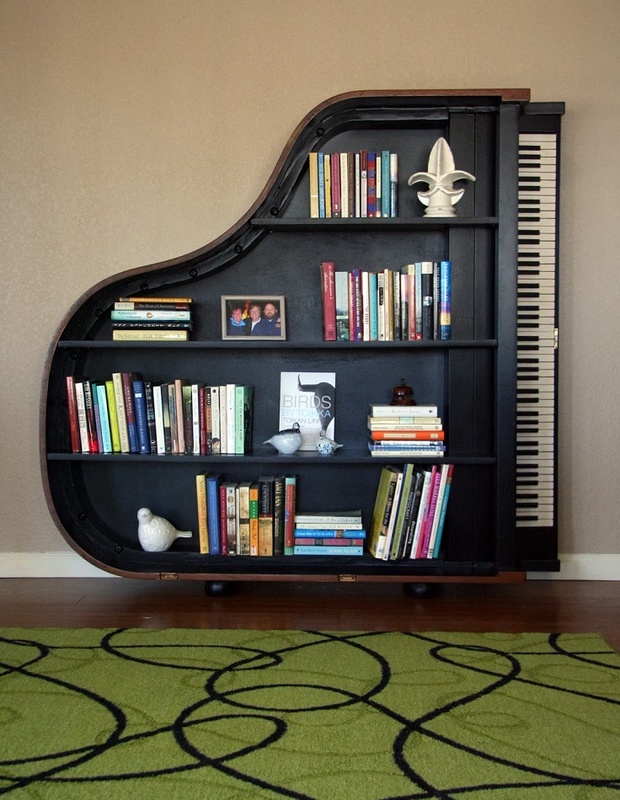 If you own a piano which is old an useless then you can convert it in a lovely bookshelves. This is an interesting idea of how to decorate you interior in so different way. With this idea you will even use your old useless piano. This piano bookshelves will look alike an art spot in your home decor where the literature and the music will met each other. Music and literature are such a perfect combination together and will bring an art spirit in your home decor. If you are asking yourself what to do with the space under the stairs then maybe this is your solution. Make a nice colorful place from the tight space under your stairs. Your home decor will be more colorful and fun after you use the small spot under your stair for a colorful bookshelves. Also you can make the bookshelves like a rainbow for a better effect. 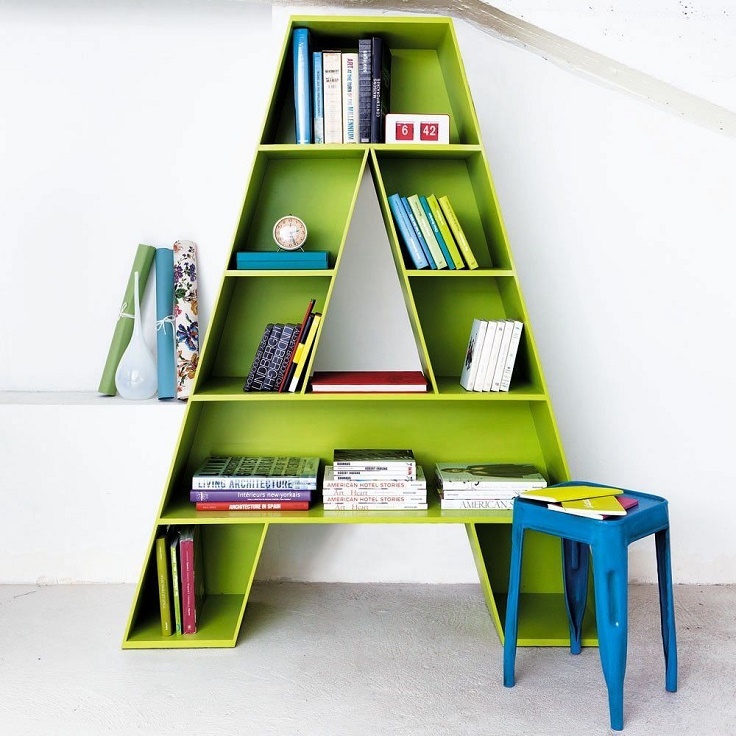 Bookshelves in a shape of letter are perfect idea for the kids spot. In their nursery, bedroom or at the school, this is a fun idea of how to store their books. All the letters are inspiration for the literature so this will inspire all the readers to read more books. This is a very interesting decoration for the books lovers and a fun way of how to make a colorful art place in every decor. Use the old frames from the art pieces or from the mirrors for a new art project instead to throw them out in the garbage. Place the old frames at the edges of your bookshelves and put them on your wall and in the end you will have magical result. This is a very interesting and unique idea of how to create a nice and elegant different home decor. Always combine two or three frames for better effect. For the ones who has their favorite super hero and they also like books then this is an interesting idea of how to make a perfect combination of their two very favorite thinks. 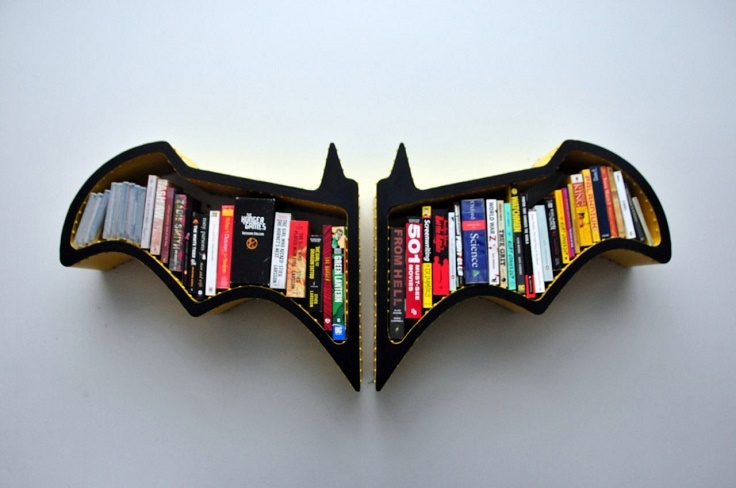 Make your bookshelves in a super hero shape and store all of your favorite books inside. This could be a super interesting surprise for your kids as well.